As they say, it takes a real man to cry, and Vince Neil did just that at Motley Crue’s last show. Now he’s stepping up his “real man” game and is fighting to raise awareness for MSA (Multiple System Atrophy). As he gears up to star in the next season of Celebrity Apprentice, the man has already raised $200k for the Keep Memory Alive charity foundation as one of the competitions. Now he’s working on another $100k from a sales campaign with See’s Candies. The man has a big heart and it’s beautiful to see him making a difference. We had the opportunity to meet Vince in person during our recent shoot to depict him holding the MSA Shoe for a Los Vegas billboard, part of the national Kick MSA campaign. The man was kind, genuine and creative, coming up with all sorts of high energy poses with the shoe – a natural. We are massive fans and are proud to share with you the image that was chosen for the Las Vegas billboard, below, followed by a behind the scenes shot with yours truly and Mr. Hickey. You can join Vince in helping to kick MSA by donating at msashoe.org. 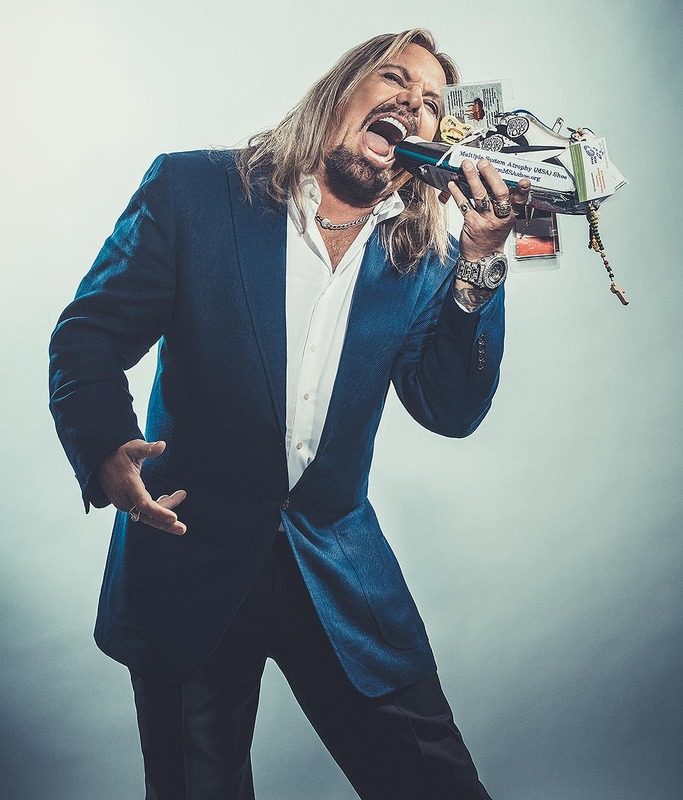 Vince Neil of Motley Crue helps fight MSA. Photo by Los Angeles celebrity photographer James Hickey. 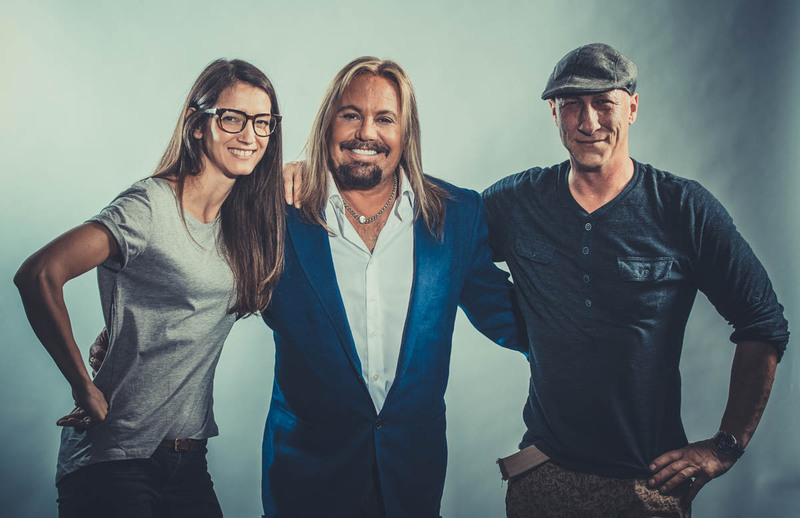 Behind the scenes with Vince Neil of Motley Crue, Los Angeles music photographer James Hickey & Tatiana Junqueira.